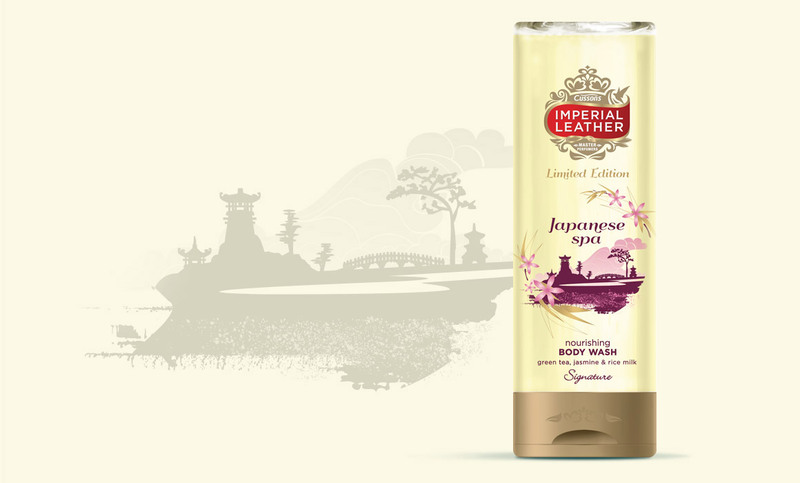 Imperial Leather’s Spa range were seeing rapidly declining sales and losing listings across all major multiples. 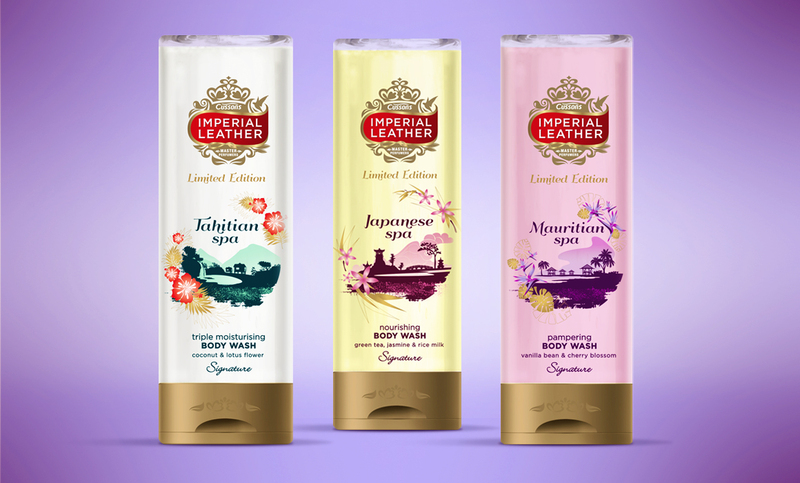 With already fantastic fragrances, there was a need to revisit the pack designs to refresh the range and reignite sales. 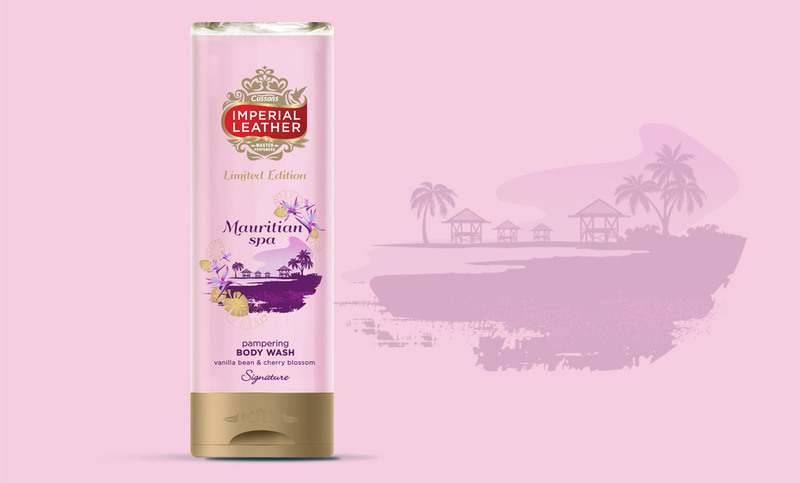 Being pampered in a Spa is a pretty luxurious treat, especially when they’re sited in some of the world’s most exotic locations. 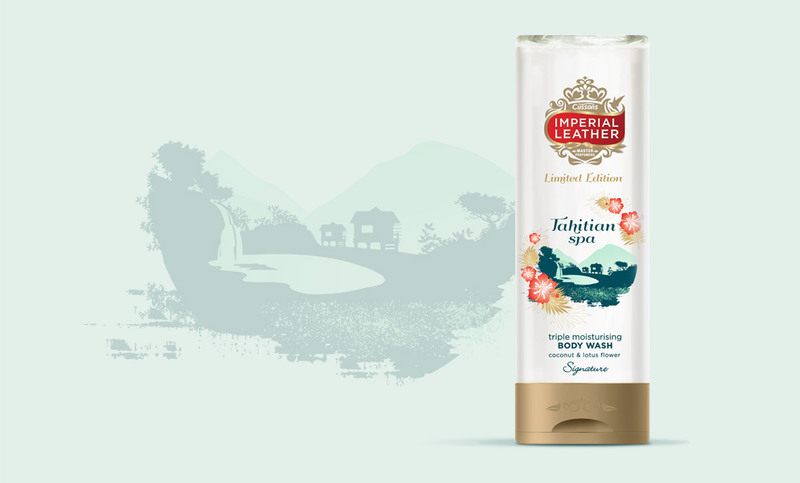 However the existing range’s pack designs didn’t evoke any feelings of that special moment of bliss. So we closed our eyes and imagined what our ultimate Tahitian Spa retreat would look like… set deep in the rainforest by an azure blue waterfall lagoon; a Mauritian Spa… on stilts overlooking a shallow, crystal clear bay, fringed with palm trees; and a Japanese Spa… atop a pogoda on the edge of a relaxing zen garden; and then we brought a bit of that magic home to your shower.